Many people say that the PS Vita has no ‘triple A’ games. What they really mean is that it has no big budget, huge explosion, star name, in-your-face games. Tearaway is not one of these, but it’s certainly a Triple A game in its own sense. 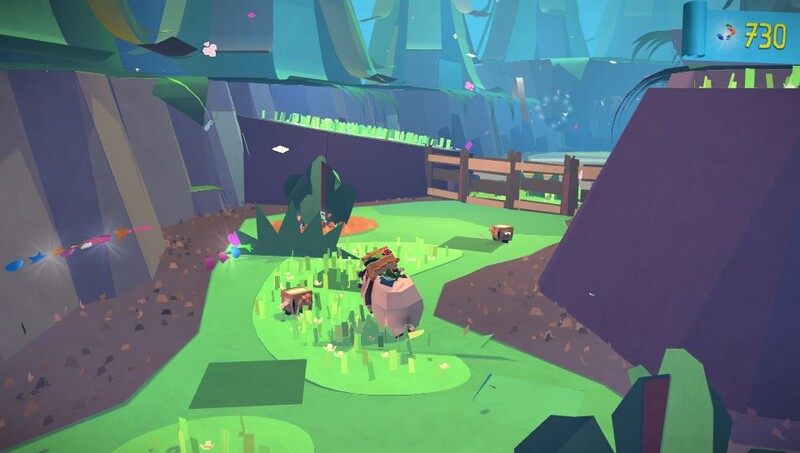 Created by developer Media Molecule, the creators of Little Big Planet, Tearaway is a platform adventure of sorts, but it’s also much more than this might suggest. 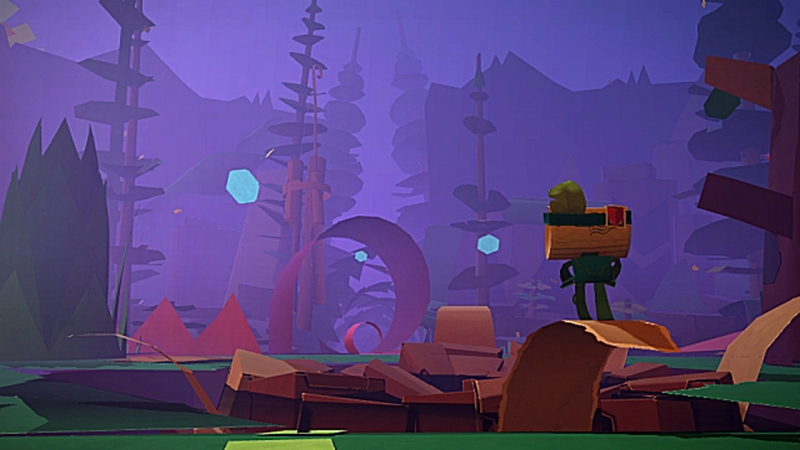 The game introduces its main character, Atoi, within the first few seconds as a sort of walking, talking letter and the world as a playground of origami wonder. The aim is to get this letter to the You, which is..you. Thanks to the Vita’s camera it really is you, displayed in a sort of Tellytubbies sunshine form, looking down on the world around you. The game’s mix of real world and game-world is never forced as it is with many Augmented Reality games, and solving puzzles feels like a real feat of co-operation between you the player and Atoi. Controls are split between the D-pad and buttons and the use of your fingers on the back and front touchpad. Poking you finger through the back of the touchpad when you come across areas marked with X and O will produce an eerily lifelike finger on the screen which will move objects or destroy enemies. Tapping on other areas will act like a drum, bouncing Atoi up and down to reach higher places. Presents can be opened, wheels can be rotated and objects can be manipulated as you make your way through the origami-esque world. It all works wonderfully without too much in the way of explanation, a prevailing sense of wonder and adventure around every corner. Finding hidden presents and ribbons opens both paper-craft plans that you can collect and print out and features to unlock in order to decorate both yourself and objects around you. A camera helps in this task, but is also given to you as a way of recording your journey in pictures should you so wish. The characters you meet, from the witty and inventive to the plain weird, are another part of the charm of Tearaway. Media Molecule have surpassed the charm of their Little Big Planet games with this new world and even though the gameplay itself may seem charmingly simple at times, the experience is as much a journey into this world as a challenge to complete each level. It may be a short game without a lot of challenge to either brain or brawn, but Tearaway provides a unique experience that fits the Vita platform wonderfully and should be in everyone’s collection.